Do your shopping at Packages Mall and Liberty Market. Badshahi Mosque and Lahore Museum are good opportunities to explore the local culture. There's lots more to do: step into the grandiose world of Lahore Fort, take an in-depth tour of Fakir Khana Museum Lahore, get outside with Bagh-e-Jinnah, and browse the different shops at Emporium Mall. To see where to stay, reviews, maps, and other tourist information, go to the Lahore trip itinerary builder tool . Multan to Lahore is an approximately 2-hour flight. You can also drive; or take a train. In April, plan for daily highs up to 40°C, and evening lows to 24°C. Wrap up your sightseeing on the 21st (Sun) early enough to travel to Islamabad. Get outdoors at Margalla Hills and Ayub National Park. Appreciate the collections at Pakistan Monument Museum and Army museum. Go for a jaunt from Islamabad to Taxila to see Taxila Museum about 56 minutes away. Next up on the itinerary: contemplate in the serene atmosphere at Faisal Mosque, get engrossed in the history at Pakistan Railways Heritage Museum, get a taste of the local shopping with The Centaurus Mall, and examine the collection at Lok Virsa Museum. For where to stay, other places to visit, traveler tips, and other tourist information, you can read our Islamabad itinerary builder website . Traveling by flight from Lahore to Islamabad takes 1.5 hours. Alternatively, you can drive; or do a combination of train, bus, and taxi. Expect a bit cooler temperatures when traveling from Lahore in April; daily highs in Islamabad reach 35°C and lows reach 20°C. Finish your sightseeing early on the 27th (Sat) to allow enough time to travel to Skardu. Your cultural itinerary includes sights like K2 Museum and Amburiq Mosque. Take a break from the city and head to Deosai National Park and Upper Kachura Lake. Next up on the itinerary: take in the dramatic scenery at Manthokha Waterfall, make a trip to Kharphocho Fort, contemplate the waterfront views at Satpara Lake, and explore the fascinating landscape at Katpana Desert (Cold Desert). For other places to visit, where to stay, maps, and other tourist information, use the Skardu tour itinerary maker website . Fly from Islamabad to Skardu in 1.5 hours. Finish your sightseeing early on the 30th (Tue) to allow enough time to travel to Kel. On the 1st (Wed), take a memorable drive along Gurez Valley (Kel to Taobat) and then take a stroll through Arang Kel. To see maps, reviews, traveler tips, and more tourist information, read Kel trip maker . You can drive from Skardu to Kel in 10.5 hours. Wrap up your sightseeing on the 1st (Wed) to allow time to travel to Hunza. Kick off your visit on the 2nd (Thu): take in the dramatic natural features at Passu Glacier, explore the activities along Hunza River, and then appreciate the views at Hunza Valley. On your second day here, contemplate the waterfront views at Satrangi Lake, appreciate the views at Hunza Valley, then appreciate the views at Eagles Nest, and finally step into the grandiose world of Baltit Fort. To find maps, traveler tips, ratings, and more tourist information, read Hunza trip website . Drive from Kel to Hunza in 10 hours. In May, plan for daily highs up to 26°C, and evening lows to 7°C. Wrap up your sightseeing on the 3rd (Fri) to allow time to travel to Nathia Gali. 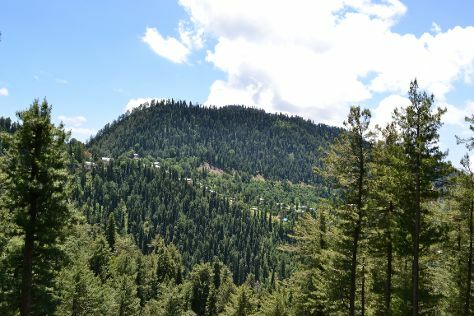 Nathia Gali or Nathiagali is a mountain resort town or hill station in Abbottabad District of Khyber Pakhtunkhwa, Pakistan. On the 4th (Sat), walk around Green Spot and then hike along Mukshpuri Top. Here are some ideas for day two: take your sightseeing to a higher altitude at Miranjani and then trek along Dunga Gali Pine Line Track. To see maps, where to stay, traveler tips, and other tourist information, refer to the Nathia Gali journey builder . You can do a combination of taxi and flight from Hunza to Nathia Gali in 5 hours. Alternatively, you can drive. Traveling from Hunza in May, expect Nathia Gali to be much hotter, temps between 42°C and 26°C. Finish your sightseeing early on the 5th (Sun) to allow enough time to travel to Chitral. 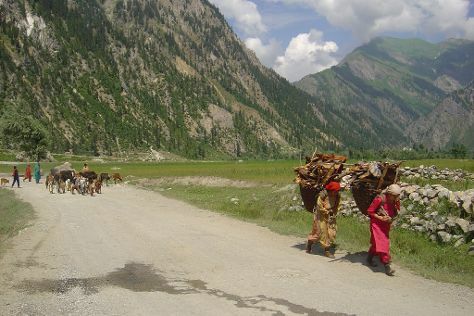 Chitral: Khowar for "field"), is the capital of the Chitral District, situated on the western bank of the Chitral River in Khyber Pakhtunkhwa, Pakistan. Visiting Chitral Gol National Park and Rumbur valley will get you outdoors. 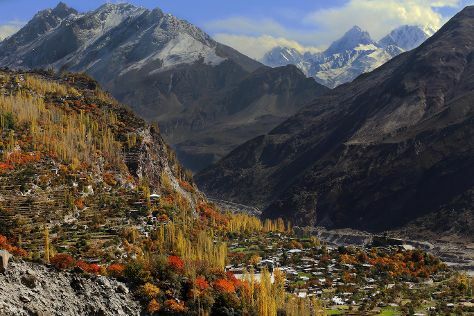 There's much more to do: take in the awesome beauty at Tirich Mir, admire the verdant scenery at Chitral Valley, steep yourself in history at Chitral Fort, and look for all kinds of wild species at Tooshi Game Reserve. To find other places to visit, traveler tips, reviews, and tourist information, go to the Chitral itinerary planner . Traveling by combination of taxi and flight from Nathia Gali to Chitral takes 3.5 hours. Alternatively, you can drive. Prepare for a bit cooler weather when traveling from Nathia Gali in May: high temperatures in Chitral hover around 34°C and lows are around 14°C. Wrap up your sightseeing on the 9th (Thu) to allow time to travel to Karachi. Saint Patrick's Cathedral and Tooba Mosque will appeal to history buffs. Do some cultural sightseeing at Mohatta Palace Museum and State Bank Museum. There's lots more to do: buy something for everyone on your list at Dolmen Mall Clifton, play a few rounds at Karachi Golf Club, brush up on your military savvy at Pakistan Maritime Museum, and see the interesting displays at Quaid-e-Azam House Museum. 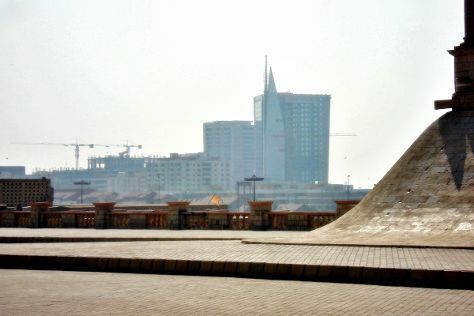 To see photos, more things to do, traveler tips, and other tourist information, read Karachi road trip planning site . Getting from Chitral to Karachi by flight takes about 7 hours. Other options: do a combination of car and flight; or drive. Cap off your sightseeing on the 14th (Tue) early enough to travel back home.